The ABC tea shop was a ubiquitous part of early twentieth century London life, mentioned by T S Eliot and Virginia Woolf, and lambasted by George Orwell. The Aerated Bread Company (ABC) was incorporated in London in 1862 with a nominal capital of £500,000. It was formed to manufacture bread using a new patented process which used carbon dioxide instead of yeast. As a mass producer, the ABC had a large number of contracts with institutions such as schools and hospitals. 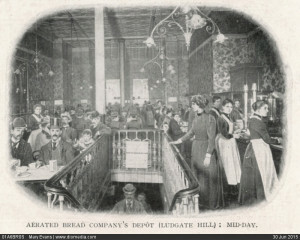 It also had a number of retail outlets in London which sold bread and cakes directly to consumers. In 1884 a manageress at a ABC bakery shop near London Bridge Station suggested to the directors that on-site sales of tea might increase revenues. This proved successful, and was rolled out across all outlets. Competitors sold pre-prepared tea from a large container, and the quality was variable. ABC differentiated itself by preparing fresh tea to order. The tea shops proved popular among clerical workers, who appreciated their affordable prices, and there were around 70 outlets by 1889. Production at a centralised bakery in Camden Town from 1891 helped to keep costs low. The low-margin business received criticism for the low-pay of ABC waitresses, who worked a 62-hour week. 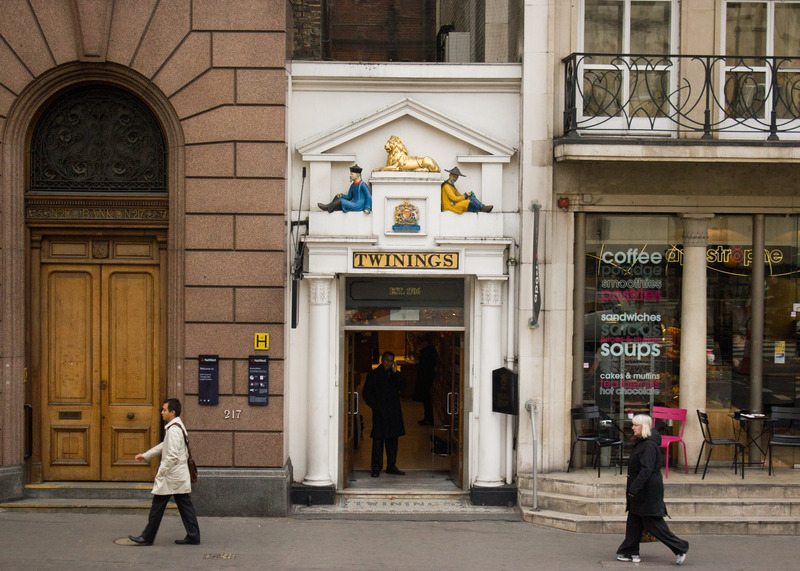 J Lyons opened its first tea shop in 1894. Lyons branches were more upmarket and better managed than the ABC shops, and had more central London outlets than ABC by 1911. ABC served over 1.25 million customers in 1911. There were 150 branches by 1912. By this time the tea shops had evolved into cheap restaurants. A commentator in 1911 wrote that service was slow, but the quality of the tea was “beyond reproach”. ABC was far better known for its London tea shops than its bread manufacture by 1913. ABC acquired W & G Buszard, a London bakery chain with 140 shops, including the prestigious Criterion restaurant in Piccadilly, in 1918. ABC were attracted to the merger by the strong management team at Buszard. Buszard directors, led by Charles Cottier (1869 – 1928) and Frederick Hutter (1876 – 1927), quickly came to dominate the ABC board, with Cottier serving as chairman and Hutter as managing director. Cottier was a forceful personality, and under his leadership ABC undertook numerous acquisitions from 1919. These were Bertram & Co (railway catering), James Cottle (Liverpool and Manchester restaurants), Cabins, JP Restaurants (with 80 outlets around London), Newberys (shop-fitters), Abford Estates (a large property development) and a controlling interest in W Hill & Sons (29 shops), at a combined cost of just under £500,000. 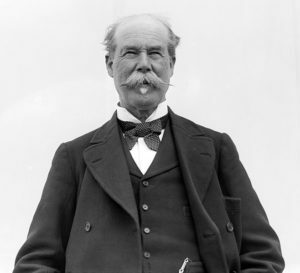 Frederick Hutter was described as the “Napoleon” of the London catering trade in 1921. Hutter had humble origins, beginning his career as a baker’s assistant. ABC had a total of 200 to 250 tea shops and restaurants by 1922. Over two million people drank tea in either a Lyons or an ABC tea shop in London every week by 1925. The manufacturing site at Camden Town covered over four acres. ABC had 156 branches across London in 1926. That year also saw the prim black and white “Victorian” waitress uniforms replaced by blue dresses. ABC built the largest single tea shop in Britain, opposite Victoria Station, in 1926. The site was bought from the Duke of Westminster, supposedly for £500,000. Hutter died in 1927, and Cottier died the following year. It appears that the business suffered following the loss of their strong leadership. Following low profits, the well-known accountant Sir W H Peat was contracted to perform an independent review of the company in 1929. Peat argued that the numerous recent acquisitions did not tie in with the core ABC business, and as such, very few economies of scale could be made. He also argued that the company had paid excessive dividends, and had failed to update and modernise its shops, which had become run down. The manufacture of aerated bread ended in 1954. ABC, with 164 tea shops, was acquired by Allied Bakeries, controlled by W Garfield Weston (1898 – 1978), for nearly £3 million in 1955. ABC was the second largest chain of restaurants in Britain. Allied Bakeries was motivated by the increase in outlets for its bakery products, and valued the ABC estate at between £1.7 million and £2 million. Unprofitable branches were quickly divested, and new outlets opened at better locations. Allied Bakeries invested in the outlets to bring them up to the standard of their competitors. The changes worked, and the previously loss-making venture had become one of the most profitable subsidiaries of Allied Bakeries by 1959. Allied Bakeries sold the Abford House subsidiary, which consisted of a large freehold property in Victoria, London, for over £500,000 to Spiers & Pond, a hotels and catering company, in 1959. ABC reported a profit before tax of over £850,000 in 1962. A pre-tax profit of £735,000 was reported in 1966. Beginning in the 1960s and into the 1970s the trade of the tea shops declined. Rivals with no or limited seating had lower overheads. There were 200 ABC outlets in 1976, but the tea shops were being phased out in favour of take-away bakery shops. Production of small, hand-finished cakes at the Camden Town site was ended in 1976, resulting in the loss of over 400 jobs. The Camden Town site was antiquated, and unsuited for modern production, and it was closed for good in 1982, with the loss of a further 200 jobs. The ABC tea shops also disappeared at around this time. The Camden site was demolished a few years later, and a Sainsbury’s supermarket now stands in its place. Any residual ABC trademarks are held by Associated British Foods, the successor company to Allied Bakeries. The highly competitive nature of the British tea industry has seen a number of different market leaders emerge at different points in time. 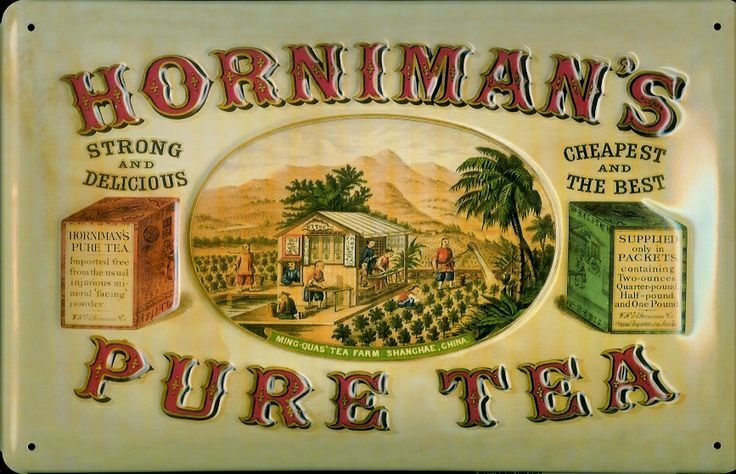 Horniman & Co was the first company in the world to package tea (as opposed to loose-leaf sales by grocers). By 1867 they claimed to have the largest stock of tea in Britain in their warehouses. By 1880 they sold over 5 million packets a year. By 1890 they had export sales of 500,000 lbs a week. By 1892 Horniman had been overtaken by Mazawattee, who sold over 14 million packets of tea each year. Mazawattee had introduced a brand that was blended entirely from fashionable Ceylon tea leaves. They also advertised more heavily than Horniman. 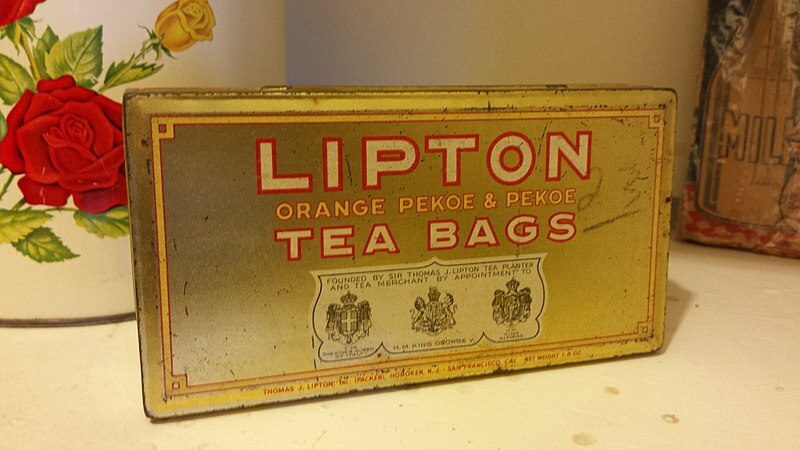 By 1897 Lipton & Co claimed the largest sales of tea in the world, with one million packets sold each week. Lipton had acquired their own tea plantations in Ceylon, and by cutting out the middleman, were able to offer lower prices to the consumer. In 1903 John Sumner began to package a new blend which used only the tips of the tea leaf. 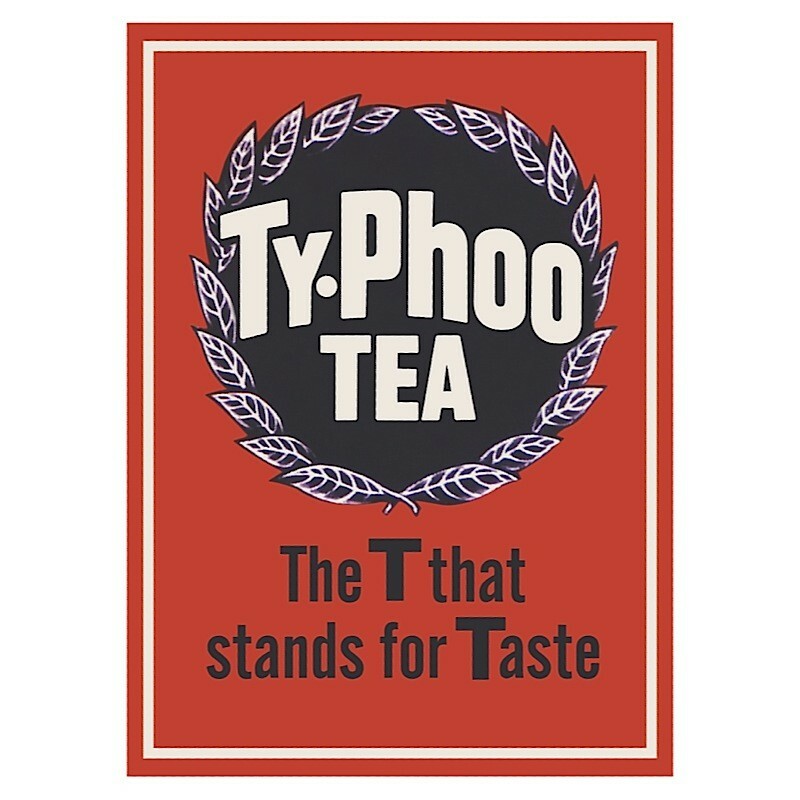 With the distinctive name of Typhoo, it had lower tannin levels and a higher caffeine content, Sumner claimed digestive properties for his product. By 1915 J Lyons & Co sold 5 million packets of tea each week, and were far and away the market leader in Britain, stocked in 160,000 outlets. In 1922 they claimed that 7 million people drank their tea every week. In 1923 the Co-operative Wholesale Society (CWS) claimed that it was the largest tea business in the world, with a sale of over 60 million lbs of tea every year. By 1932 this figure had increased to 100 million lbs a year. In 1939 the CWS was the largest tea blender and distributor in the United Kingdom, controlling around 25 percent of the supply. It was followed by Lyons, Brooke Bond and Allied Suppliers (who controlled Lipton). CWS tea sales declined with the rise of the supermarket chains: the new chains saw CWS, who operated their own grocery stores, as a rival, and refused to stock their tea. By 1957 Brooke Bond was probably the largest tea company in the world, with around one third of the British and Indian tea markets. 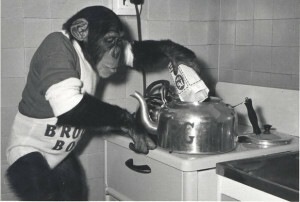 In the 1960s, Tetley grew from a minor player to a major force in tea after it pioneered the use of the tea bag in Britain. Brooke Bond was still the largest tea company in the world when it was acquired by Unilever in 1984. 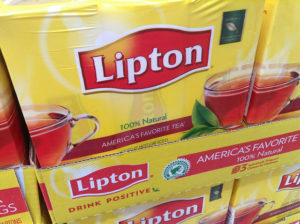 Unilever had acquired Lipton in 1971. 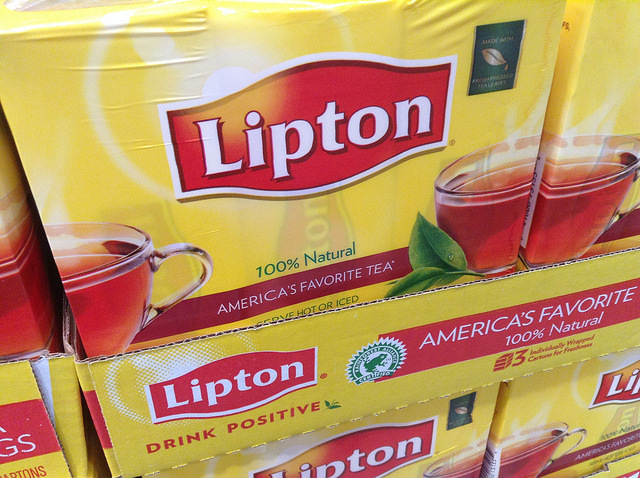 Today Lipton is the largest tea brand in the world, with most production centered on a single site in Dubai. Part I, about the early history of J Lyons, can be found here. After 1950, J Lyons developed the first business computer. It introduced household-name brands such as Ready Brek and Wimpy Hamburger. Today, the Lyons brand itself has all but disappeared. J Lyons was the largest catering company in the world in the early 1950s, with a capital of £10 million and exports to fifty countries. There were 33,000 employees and 230 tea shops in 1954. The Corner House restaurants and hotels alone employed over 4,000 workers in 1951. On normal Bank Holidays the Corner Houses could expect to serve 250,000 meals. Lyons engineers developed LEO (Lyons Electronic Office), the first business computer in the world. Large computers had previously only been used for military or scientific purposes. The 5,000 sq ft computer began use on 17 November 1951, and calculated stocking levels. LEO calculated the bakery staff payroll from 1954. Lyons introduced the American-style hamburger chain to Britain when it opened a Wimpy franchise in the basement of a Lyons tea shop on 277 Oxford Street in May 1954. There were 1,100 Wimpy outlets in 34 countries by 1973. Lyons Pure Ground Coffee was the highest selling coffee in Britain in 1953. Lyons launched its standard market teabag brand, Quick Brew, in 1955. A “Big Four” held 70 percent of the British tea market by 1956. Lyons held second place behind Brooke Bond. Maryland Cookies were introduced from 1956. The company launched Ready Brek instant porridge in 1957, to outstanding success. Lyons sold its confectionery subsidiary to Callard & Bowser in 1961. With the growth of television advertising, middle-size sweet manufacturers were forced to consolidate in order to reach a scale capable of launching their own campaigns. Lyons retired most of its tea distribution vans from 1962. The vans had delivered to independent grocers throughout the country. The company had reasoned that business was transferring towards the supermarkets. The decision was premature however, and allowed rival Brooke Bond to increase its market share at the expense of Lyons. A joint venture with Schweppes, Rose Kia-Ora Ltd, was a leading soft drinks supplier in the UK, with 46 percent of the UK squash market by 1963. Lyons acquired Eldorado of Liverpool, the fourth largest ice cream manufacturer in Britain, in 1963, and rebranded its ice cream business as Lyons Maid. The takeover took its share of the ice cream market to 34 percent, and Lyons was the second largest ice cream manufacturer in Britain (after Wall’s) throughout much of the twentieth century. The FAB ice lolly was introduced in 1967. The Greenford ice cream factory was the second largest in the world by 1973. The computer division required extensive capitalisation, so it was sold to English Electric in 1964. Lyons had become the biggest supplier of pre-packaged cakes in Britain by 1966, and was the clear market leader with a 28 percent market share. Lyons had more than two thirds of the packaged ground coffee market in 1966. 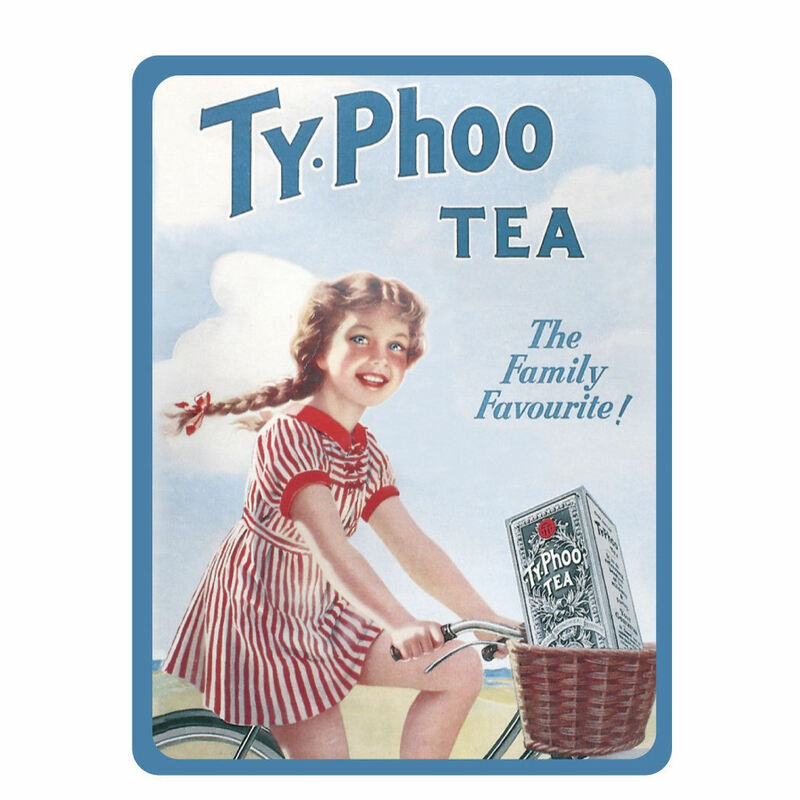 Throughout the 1960s J Lyons was joint third in the British tea market alongside Typhoo, with around 15 percent market share, behind Brooke Bond and the Co-operative Wholesale Society. Lyons was probably the largest in catering sales and supplies in Britain by 1969. Lyons was the brand leaders in ground coffee in 1970. 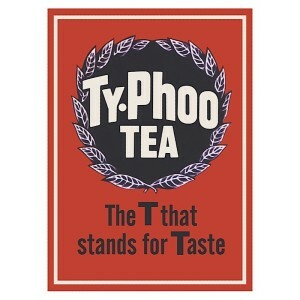 However its market share in tea was 13 percent, and it was far from the brand leader it once was. Quick Brew had an eight percent share of the popular tea market. It was strongest in the South of England, especially London, where it held 17 percent of the market. 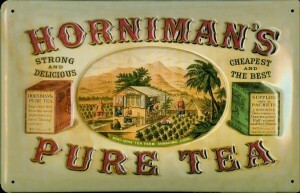 By this time Horniman and Black & Green had been positioned as the company’s premium tea brands. Horniman was the company’s biggest tea seller in South Wales, and Black & Green was strong in Manchester and the North West. Lyons hotels held over 6,000 beds in 1970. It was argued in The Spectator in 1968 that “You can grade the Lyons properties into four classes — redundant, non-profitable, underdeveloped — and Cadby Hall [the production centre].” The number of tea rooms had declined to 120 by 1969, and many were loss-making. The Coventry Street Corner House was closed in 1970. Between 1970 and 1972 the remaining tea rooms were converted into Jolyon Restaurants. Cadby Hall was closed in 1972, with production relocated to Yorkshire and Northamptonshire. Nearly 3,000 staff were affected. 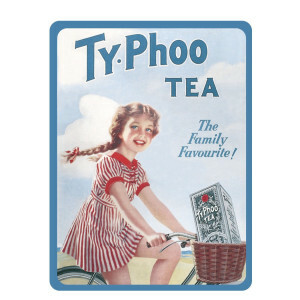 Lyons acquired Tetley Tea for £23 million in 1972. This gave Lyons the second highest market share for tea in both the British and American markets. In Britain Lyons now had 17 percent of the tea market, behind Brooke Bond on 40 percent. A 25 percent stake in Fox’s Biscuits of Batley was acquired in 1972. Baskin Robbins, the ice cream manufacturer with 1,600 stores in America, was acquired for £16 million in 1973. Lyons encountered financial difficulties following the global oil crisis of 1973. They had borrowed £250 million to finance acquisitions in the early 1970s, mostly from non-British sources. Foreign loan repayments became expensive as the value of sterling fell. As a result, the company began to rapidly divest its core assets just to meet is liabilities. J Lyons dropped from the top 100 companies in Britain by market capitalization in 1974. The company had capitalization of £39.5 million and a turnover of £249 million in 1975. The tearooms and corner houses fell prey to the more trendy coffee bars of Charles Forte, as well as the increasing appeal of fast food and ethnic cuisine. The last tea shop closed in 1976. The 35 British hotels (with the exception of Tower Hotel) were sold to Rocco Forte’s Trust House Forte for £27.6 million in 1976. Forte promptly recouped £11 million in a year by cutting costs. Wimpy, with 676 UK outlets, was sold off to United Biscuits for £7 million in 1976. The Salmon and Gluckstein families were forced to relinquish voting control over Lyons in 1976. By allowing ordinary shareholders to have votes, they hoped to acquire more capital, which was desperately needed. Previously the families had held six to seven percent of company equity but 61 percent of voting shares. By this time Lyons had a market capitalization of over £40 million and sales of £650 million. Lyons was subject to a friendly takeover by Allied Breweries which valued the company at £64 million in 1978. The merged entity was known as Allied Lyons. The Cadby Hall sites were demolished in 1983. The remant Lyons food businesses were sold off throughout the early to mid 1990s. Ready Brek was sold to Weetabix in 1990. Lyons Maid had been loss-making for several years, mainly due to increased competition following the entrance of Mars into the ice cream market. It was sold to Clarke Foods for £12 million in 1991. There were 800 employees in Greenford, Middlesex and Liverpool. Clarke Foods was acquired by Nestle in 1992. In 1994 the Lyons coffee businesses were divested: ground coffee to Paulig of Finland and instant coffee to Philip Morris. After acquiring Pedro Domecq in 1994, Allied Lyons renamed itself to Allied Domecq. 1994 also saw Lyons biscuits of Blackpool sold to Hillsdown Holdings. There were 780 employees. Lyons Cakes was sold to Tomkins of America for £35 million in 1995. The business employed 1,700 people in Britain and Ireland. Meanwhile, the Tetley Tea business was subject to a management buyout, valued at £190 million. Lyons Quick Brew tea is still found in the UK, although distribution is extremely limited. Lyons Red Label tea can be bought from Waitrose. 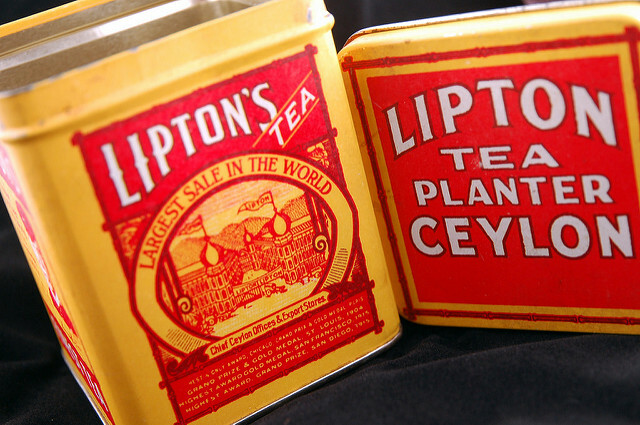 Lyons remains the highest selling tea brand in Ireland, with over a third of the market. Lyons Maid has been re-branded as Nestle. Lyons brand cakes, biscuits and freshly ground coffee are still sold, although without the presence they once had. Lyons’ major weakness was nepotism. As late as the 1950s, the board was populated exclusively by family members. The Financial Times ran a headline “Too much Salmon is bad for Lyons”. A non-family member chairman was not elected until 1977. Although a public company, the majority of voting shares were controlled by the founding families until 1976. But by then, it was too late to save the company extant.